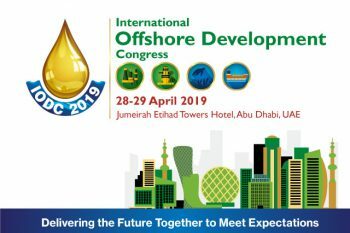 WOC CEO Paul Holthus will be presenting on “The Future of Offshore Oil and Gas: Exploration and Production in a Crowded, Impacted, Multiple-Use Ocean” in the panel “Facing Current Offshore Business Challenges” at the International Offshore Development Congress (IODC 2019) to be held in Abu Dhabi on 28-29 April 2019. The 1st International Offshore Development Congress (IODC) 2019 is set to be held annually in GCC and will be the region’s premier event dedicated to the offshore industry. The event is organized by Arab Association of Petroleum Professionals (AAPP) & Maarefah Management Energy and Advisory and Technical Committees which will take place from 28 – 29 April 2019 at the Jumeirah Etihad Towers Hotel, Abu Dhabi, United Arab Emirates. In keeping with the theme, “Delivering the Future Together to Meet Expectations” industry figures & key experts in the relevant fields will speak at the congress Technical and Panel Sessions. IODC 2019 is the premier meeting place for Oil & Gas companies, stakeholders and interested parties of the relevant sectors related to offshore development. This unique gathering promotes discussion, debate and education for engineers, technical experts and industry leaders ensuring topical and current challenges are addressed. In addition, the congress will comprehensively examine regional & international offshore developments from a specialized perspective whilst emphasizing our commitment to energy and the environment. In summary, you will have the who’s who of the industry on a single platform, under one roof. The World Ocean Council is a Strategic Partner of the IODC 2019. WOC Members are eligible for a 20% registration discount. A code has been forwarded to all Members, and is available on the WOC Members Pages.